A city of towering skyscrapers, sandy beaches, and tree-lined streets, Gold Coast has an unpretentious air complemented by a citywide focus on sports and the arts. The most popular tourist destination in the state of Queensland, Gold Coast life centers itself on relaxation, surf, and marine life in general. Gold Coast is in Queensland. 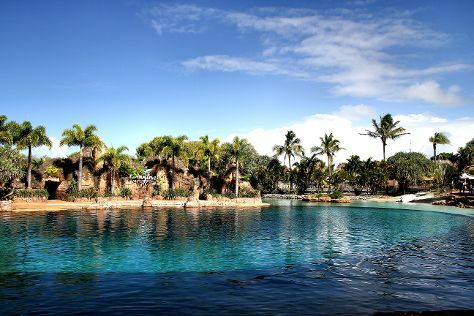 Take a look at our Australia trip itinerary planning website to refine the details of your trip to Gold Coast. The Gold Coast's star attraction is its beaches, including the world-renowned stretch of sand at Surfers Paradise. Beyond the beaches, discover laid-back neighbourhoods, a booming culinary scene and the Gold Coast's famous theme parks. And don’t miss a trip into the subtropical hinterland for rainforest walks and waterfalls. International flights fly directly into Brisbane Airport from many global hubs. From there it’s a one hour shuttle bus ride to the Gold Coast. If you are travelling to the Gold Coast from within Australia, direct flights arrive at Gold Coast Airport in Coolangatta.